Organizational learning and agile behaviour are key requirements for success in volatile environments with rapidly growing challenges. 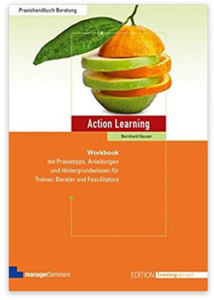 Critical Action Learning is a paradigm for leadership in the 21st century, as it employs resolutely pressing challenges (‚Wicked Problems‘) for learning to bring about change in individuals, teams, organizations, and systems. Action Learner develop themselves this way while creating the productive relationships that help each system to improve business and generate innovation for the future. 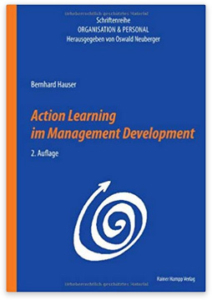 In Critical Action Learning, beyond the obvious (technicist) problems and their characteristics the underlying causes are addressed in a constructive way, which often hinder collective learning and lasting success: tensions, contradictions, emotions, micropolitics and power dynamics, which inevitably occur in groups and in the life of each manager. As experienced facilitators, we help to create a safe environment for the organization to take risk (’action’) and to reflect (’learning’) and to make the entire learning and change process both mindful and effective. Critical Action Learning is a meaningful step in the development of leaders because it promotes critical reflection on everyday realities and oddities in organizations emphasizing the value of collective as well as individual reflection.